For a while now, we've been hearing that Apple plans to introduce three new iPhones this September. All three would have the new iPhone X design with its all-screen front and the controversial notch. However, the cheapest of the three would have an LCD display, instead of an AMOLED panel, which presented its own set of challenges. A company, called Nichia, has managed to move from 0.4t LEDs to 0.3t ones successfully, making it possible for an LCD-equipped phone to have 2-2.5 mm bezels. For that reason, Apple will be working exclusively with Nichia when building its next generation of iPhones. That said, the “cheap” LCD iPhone will still have slightly thicker bezels than the OLED-equipped iPhones. How much is “slightly”? Well, here we have a trio of screen protectors, allegedly meant to fit the three new Apple smartphones. Laid side by side in a pretty good photo, we can get a very nice idea of the size difference between the three iPhones as well as spot the thicker bezel in the middle there. As we can see, it doesn't look half bad — it's not drastically thick and it doesn't scream "cheap". Well, at least not what we see here. We are still anxious to see the actual products when Apple announces them, sometime mid-September. So, the 6.1-inch model is expected to be the entry-level new generation iPhone with a starting price of $700. It's also, supposedly, going to have a single camera at the back, but it'll still have Face ID housed in that pretty notch up front. The smaller, 5.8-inch model has an OLED screen, a dual camera, and will cost more — probably around a $100 extra. 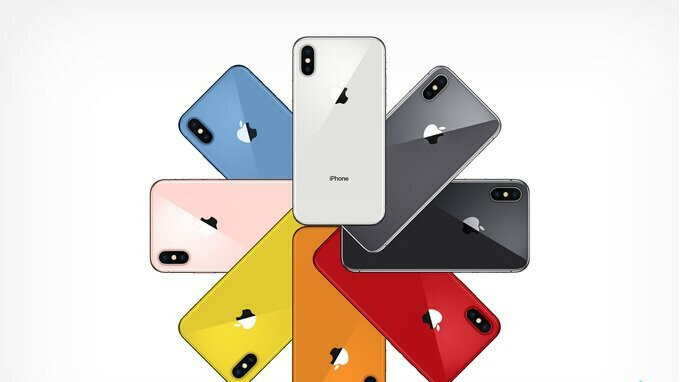 The rightmost model is the iPhone X Plus (or whatever Apple ends up calling it) and it might have a triple camera module on its back and reach that $1k price tier, which the iPhone X occupied last year. 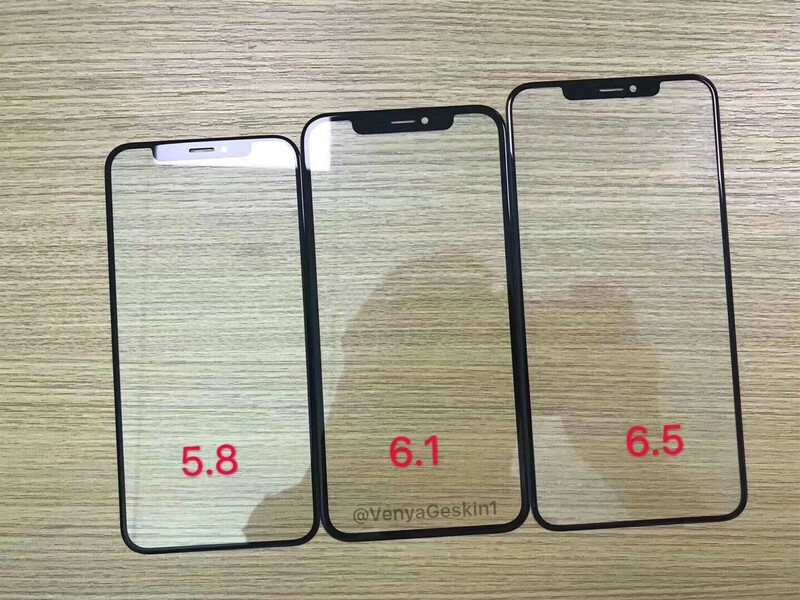 They’re about as thick as the current iPhone X bezels (~4mm). Looks like they’ve halved it if those screen protectors are correct. Yes they have. Leaks have shown that. They have been able to shrink the LCD model bezels as well through advanced manufacturing processes. OLED model bezels are also shrinking noticeably. LCD and no chin, Android makers please take several notes! MLCD is really good now. It's even fast for refreshing the display. Btw many Android smartphones are already using the latest LCD displays. It's only this year that Apple is looking to go with MLCD displays. It's one of the reasons why Apple is buying some of LG's MLCD displays. Literally none of them, last I checked. In order to have no chin, the majority of Android phones need to have their screens folded under the display, like the iPhone X.
Apple patented that, so Apple has definitely made it near impossible for consumers to receive a device without a chin. I'm not really against chins either, if they aren't too big. It's much more important that they don't have something at the top, as my thump will have difficulty bending comfortably down to the bottom of the display, if it doesn't have a small chin. It's just not as comfortable at all to have to bend your thump that low. LCD? Yeah, no thanks buddy. I want phones with components from 2018, not 2010. You mean those 2018 screens that burn-in and have half the sharpness requiring double the resolution catch up? Yeah nah....not paying $1000 for that. In 5 years of oled use that has never happened to me. Normal day to day usage will rarely if ever produce burn in on a quality oled panel. "LCD? Yeah, no thanks buddy. I want phones with components from 2018, not 2010." haha I can't believe you just said that :) So how you can then praise Note 9 which has fps from 2013? The LG G7 has already done it. Done what ? The G7 not only has a chin and a notch, but also a bit of forehead...fail. Probably he mean G5, remember that phone got removable bottom *cough* modular *cough*. It's bottom bezels is much smaller that other phone on it's era. I'd rather have a small chin and no notch. So it's the same as last years model? Doesn't look any different. And multiple generations of iPhones, what's your point? The question is, what is his point? My point is pointing out his pointless point, can’t you see? Whatev is right. Why point out Apple as if they’re the only guilty, while the rest of manufacturers are doing the same thing. You seem to have conveniently overlooked the Mi Mix series, Vivo Nex and Oppo Find X. Design innovation (and phone innovation in general) has been led by China and android for several years now. Apple hasn't been cutting edge for a long time. It’s easy to do a small batch with screens like that try manufacturing on a scale like Samsung galaxy s or iPhone demand? Small batch? From the 4th and fifth largest OEM's in the world? Once you're selling in the millions it makes no difference. Try 10s of millions. Of one device. Not just millions of buncha cheap models and a fraction of that the ones you mentioned. Show me which of the devices you mentioned sold as much as any iPhone or galaxy S model?